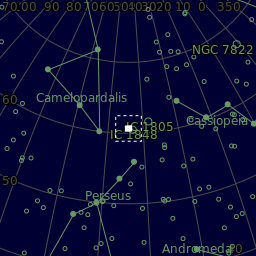 IC1848 is located in the constellation of Cassiopeia. It is approximately 6500 light years away. 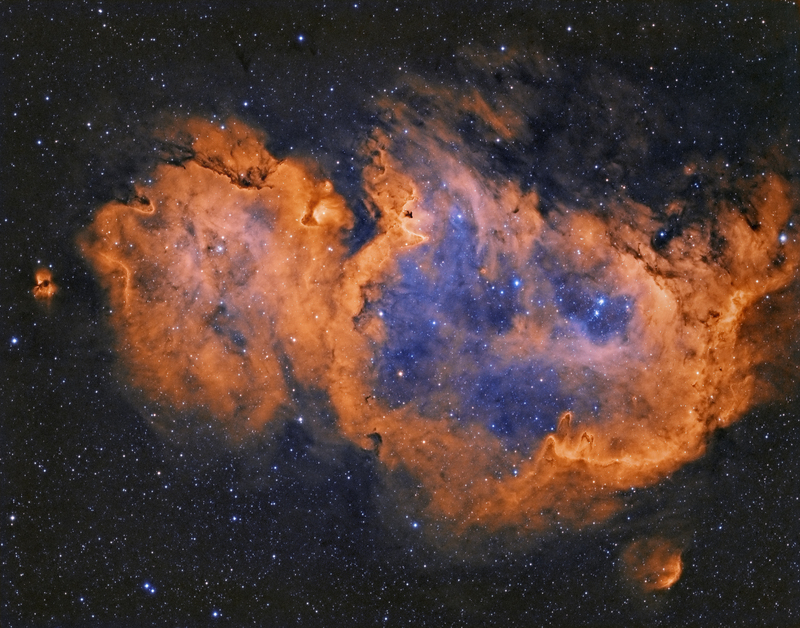 There is a small emission nebula called IC1871 to the left of the 'head' and bottom right is IC670. Total integration time of 14 hours. All images on this website are not to be reproduced or used without permission.